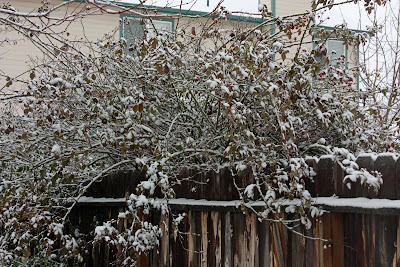 This is a mini-rose bush sweeping over the fence. It's gorgeous in summer, and a good hiding place in winter for house sparrows, finches and Oregon juncos who need a quick place to duck when a hawk, or cat, appears on the scene. I think the house sparrows roost there all night. Let it Snow....let it snow....etc. 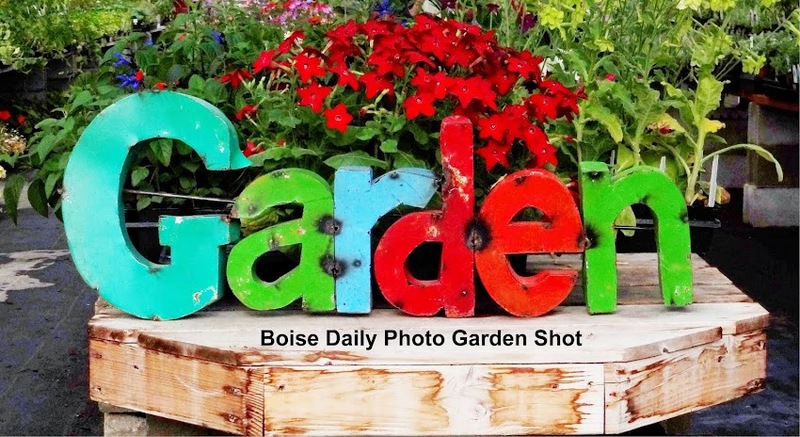 Photos Copyright (c) http://www.boisedailyphoto.com/, 2008-2016. All rights reserved. Please ask the OWNER for written permission before using, or reproducing in whole or part. Thanks!